The PCMH-03 is a smaller version of the PCM-01, being only half the height. 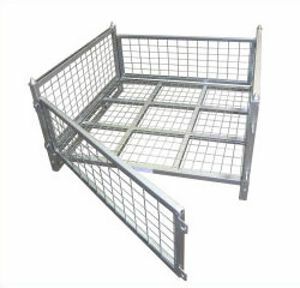 The cage is fitted with removable front and rear hinged gates, which can easily be opened for access, even when stacked. Able to be transported by forklift or pallet trolley, this cage can be stacked 4 high when empty or 2 high when loaded. This unit is supplied as a Flatpack.